Ten years of community service is a sentence local youth can be proud of. 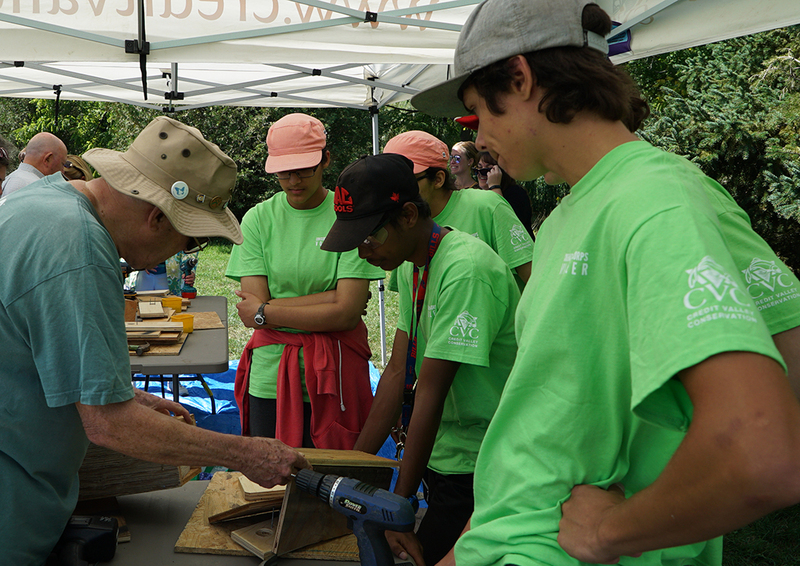 On Thursday, September 1, Credit Valley Conservation (CVC) and Credit Valley Conservation Foundation (CVCF) marked the 10th anniversary of its Conservation Youth Corps program (CYC). The event took place at Jack Darling Memorial Park in Mississauga and celebrated 10 years of accomplishments and community support through the youth environmental program. In attendance were members from the CVC and CVCF’s Board of Directors, sponsors of the program, community partners and some of this year’s CYC student volunteers. Youth volunteers spend one week in the summer working in a crew of seven. They participate in conservation activities such as tree plantings, trail maintenance, invasive species removal, stream restoration and electrofishing. The program offers students an opportunity to earn volunteer hours, develop new and different life skills and network with other students. The success of CYC led to two more CVC programs that encourage youth participation. Branch Out is a program that enhances science and geography curriculum and offers students the chance to participate in hands-on local environmental restoration. 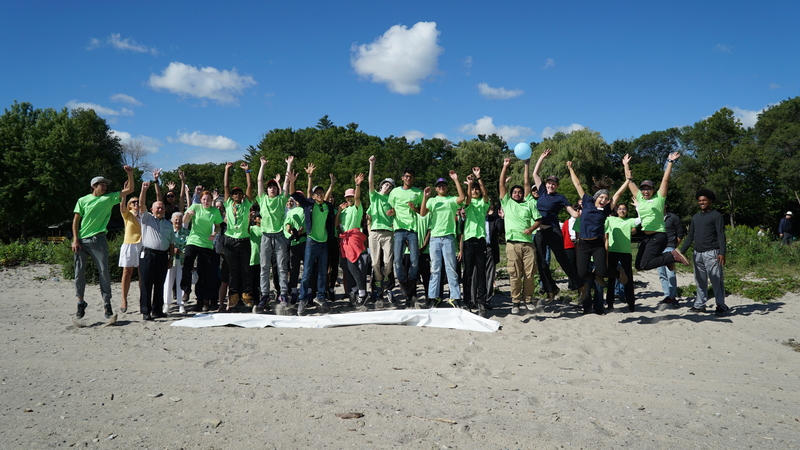 The Frontline program offers an opportunity for youth to develop leadership skills as environmental champions. Nearly 2,200 students have joined the CYC week-long summer program, with another 10,000 volunteers participating in Branch Out. These students have contributed 84,000 hours of work through 1,800 workdays over the past decade. This is equal to five full-time staff each year the program has operated. Through partnerships with landowners and supporters, these students planted more than 54,000 trees over the 10 years to help fight climate change. Students have also removed more than 1,000 bags of invasive species, like garlic mustard, honeysuckle and buckthorn. All this work has taken place on 149 different properties. Each year CVCF commits to raise $125,000 in support of CYC. Since 2006, they have contributed $1.1 million. CVCF has hosted 11 Conservation Galas and eight Canoe the Credit events in support of the CYC program. The CYC program has been successful over the years due to the generous support of donors and sponsors which include: the Region of Peel, Enersource, Shell Fuelling Change, TD FEF, Enbridge, CRH, Canon-Evergreen Take Root, George Weston Limited, RBC Foundation, Brampton and Caledon Community Foundation, ECHO Foundation, PPG Canada Inc., Pratt & Whitney Canada, Suncor Energy and Telus Corporation. Conservation authorities are a provincial/municipal partnership. For over 60 years, Credit Valley Conservation has worked with its partners to support a thriving environment that protects, connects and sustains us. Credit Valley Conservation gratefully acknowledges financial support from our member municipalities for facilities, programs and services: the Regions of Peel and Halton; the Cities of Mississauga and Brampton; the Towns of Caledon, Erin, Halton Hills, Mono, Oakville and Orangeville; and the Townships of Amaranth and East Garafraxa. CVC is a member of Conservation Ontario. 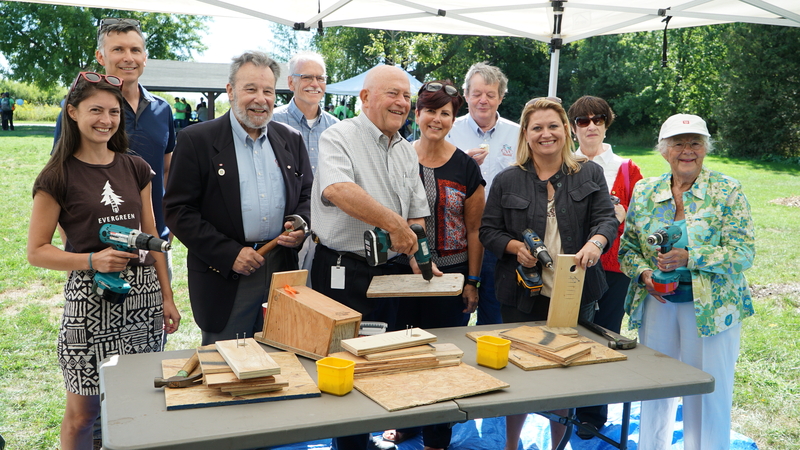 CVC’s CYC volunteers and staff, CVC Board of Directors, CVCF Board of Directors and staff, partners and program sponsors joined the celebration at Jack Darling Memorial Park in honour of 10 years of youth environmental community service.